It’s fun to remember the carefree days earlier this year that I spent hunting for dragonflies. 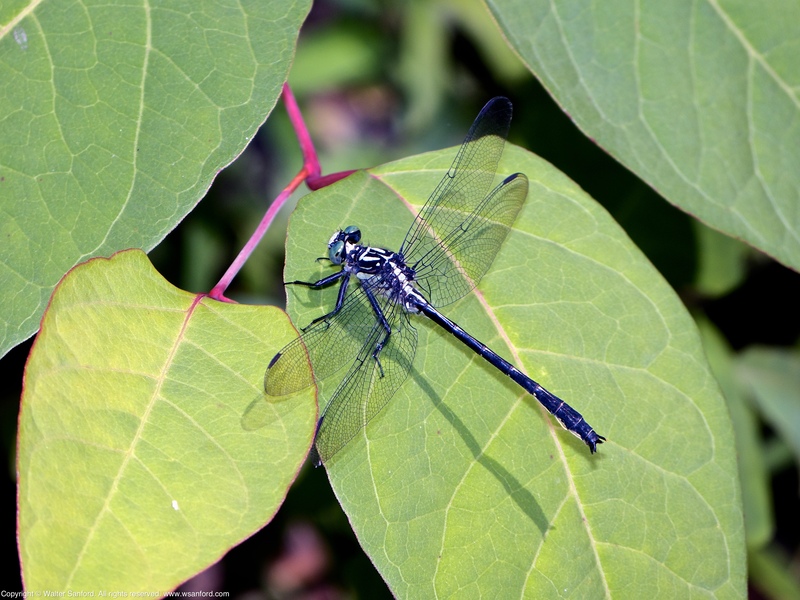 Fellow dragonfly enthusiast Walter Sanford recently did a posting about a location where I photographed a Sable Clubtail dragonfly, one of the rarest species in our area, a place that he christened “Powell’s Place” after he too visited it and found a Sable Clubtail. Be sure to check out his posting and I encourage you also to explore his blog for some amazing photos and information about dragonflies and other wild creatures. Do you like to go off in pursuit of rare and exotic species to photograph? Most of the time I am content to travel again and again to familiar places, searching for both old and new species to photograph. 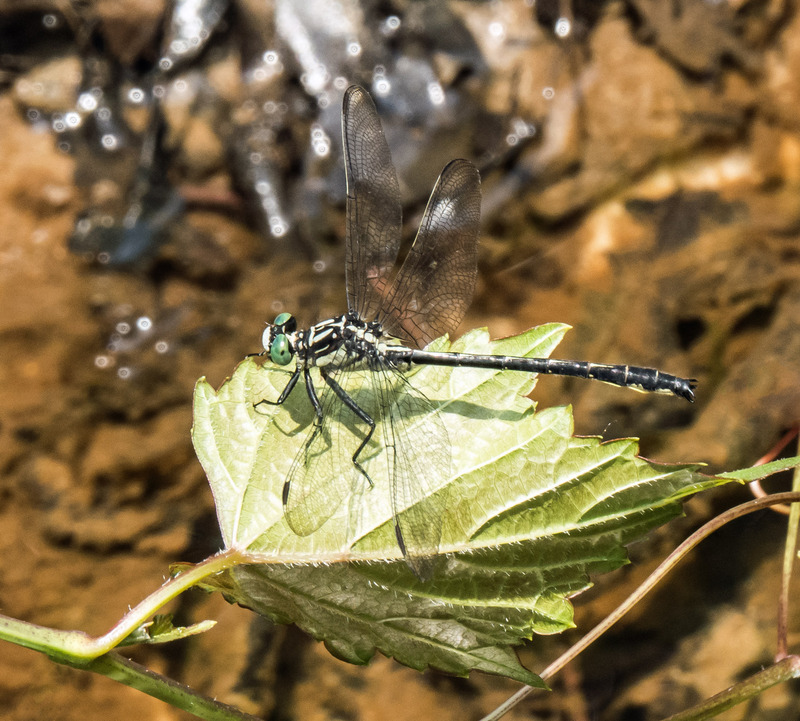 Yet I guess that I have a bit of an adventurous streak too, for my interest sparked when fellow blogger and dragonfly enthusiast Walter Sanford informed me that he had spotted one of the rarest dragonfly species in our area, the Sable Clubtail (Stenogomphurus rogersi). 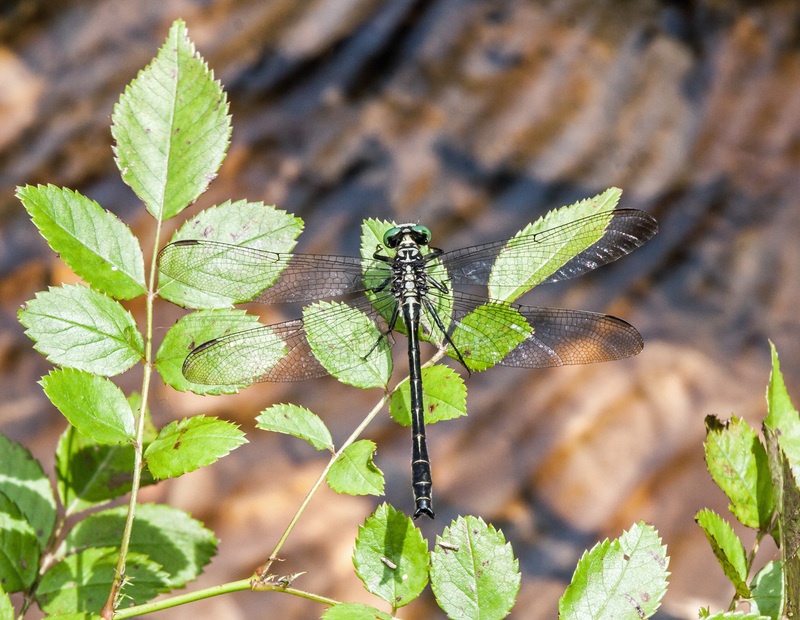 What makes this dragonfly so rare is that it is found only in a very specific type of habitat and it only for a very short period of time each year. I was still a bit jet-lagged this past Saturday morning, having returned the previous afternoon from my week-long trip to Brussels, but decided to see if I could find this elusive dragonfly. Walter and I had searched for dragonflies in this area before, so I more or less understood where he had seen the Sable Clubtail dragonflies when he described the location to me. In retrospect, though, I probably should have done a little more homework, because I suddenly realized as I began my search that I didn’t know very well the distinguishing characteristics of a Sable Clubtail. I knew that the tip of its “tail” (actually its abdomen) was somewhat enlarged, because it was part of the “clubtail” family and I remembered from a photo that extreme end of the “tail” was curved. 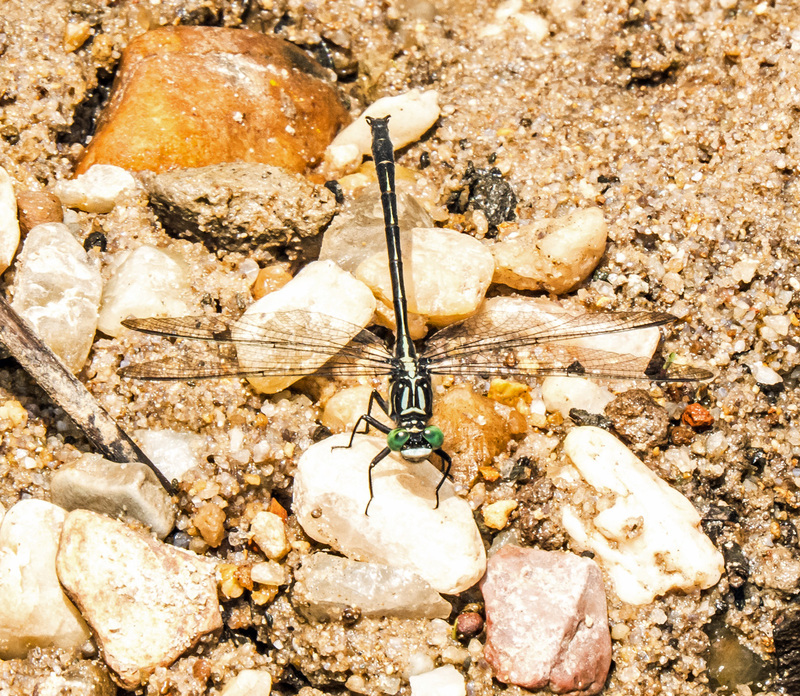 Beyond that, I was somewhat clueless and I was a little disappointed later in the day when I thought that I had not seen a Sable Clubtail dragonfly, but only some Unicorn Clubtail dragonflies. I am happy to say that I was wrong in my identification of the species that I had photographed—in my ignorance, I had missed some diagnostic clues that should have told me immediately that I was shooting a Sable Clubtail. Of course, if you never have seen a species before, it’s easy to categorize it as something that you have seen. Here are a few images from my encounter with a Sable Clubtail. The different angles any varying perches help to highlight the beautiful markings of this dragonfly and its very striking eyes. I am not quite ready to quit my job and travel the world in search for rare dragonflies, but it was exciting to play the role of an adventurer for a day—a tiny bit of Indiana Jones—and gratifying that I was able to find the treasure that I was seeking, the Sable Clubtail dragonfly.